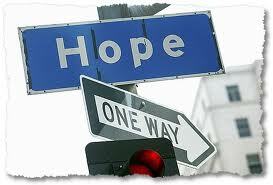 Feeling Good and Sending Out Hope! I have been feeling pretty good lately, and just wanted to post an update to spread hope. Its more often that you read about how bad someone is doing with lyme than not, so I want to make a real effort here just to send out the message that you CAN feel GOOD. I have carved out my own path on the road of lyme disease, and for the past few months I have been feeling much better. This week I was able to work four days! I even got my first paycheck in about five years. It’s a super small one, but still, yay. Just two months ago I felt like I was on my death bed, and I’m not saying my current state is permanent, but I have learned to FULLY live when you get the gift of energy. So that’s what Im doing..living. It took about a month and a half of being back on my doxy protocol, combined with colloidal silver this time, to really start feeling better. For those of you who are interested, I am including a complete list of my current protocol, which is keeping me well above 70%, for now anyway, things can always change with lyme. I think the key to the “lyme climb” is consistency and persistence. If one thing doesn’t work either rethink it or try something else, but DON’T give up. For example, when I started on doxycycline, my doc put me on 300-400 mg a day, and I just couldn’t handle it, and that is how I finally discovered the lower doses over long periods of time, and that is what worked for me. It is super important to be doing something at all times for the lyme, you just have to find what is right for you. The times I am sickest is when I am taking nothing at all. Lisa — you are truly an inspiration. Having known you since the onset of this disease, I find your determination and persistence absolutely amazing. Instead of giving up and taking other people’s (pracitioners) word, you have listened to your body and soul and figured out what is best for you. This is difficult even in a well person, and doing it while feeling sick to the extent you have has got to take tremendous energy. You are quite a unique and exceptional person and I wish you continuing improved health. You are in my thoughts and I love you!